Here it is completed. It measures 21″ x 23″, and I added four navy tabs to hang it from. 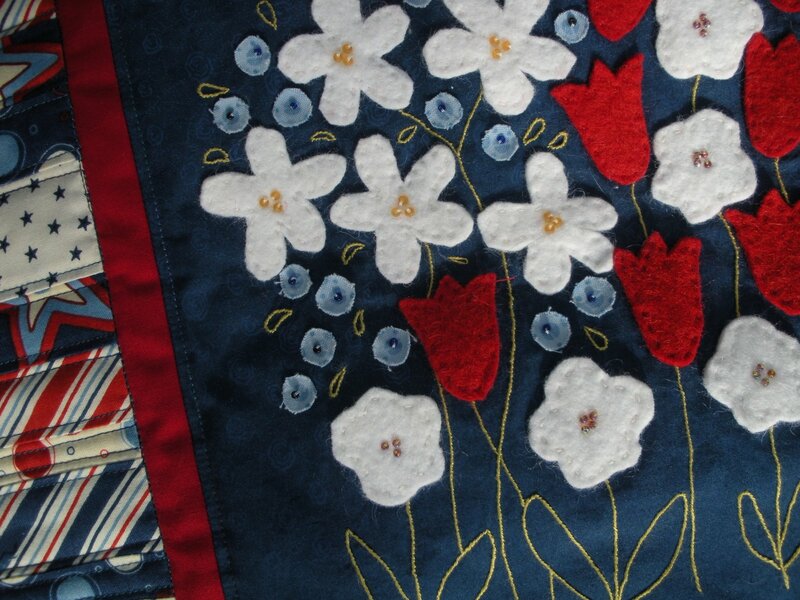 The red and white flowers are wool felt (I felted it myself because I couldn’t find the correct colors in an affordable quantity)…the rest of the project is cotton. I think I may have showed you a progress shot of it with this borders…. 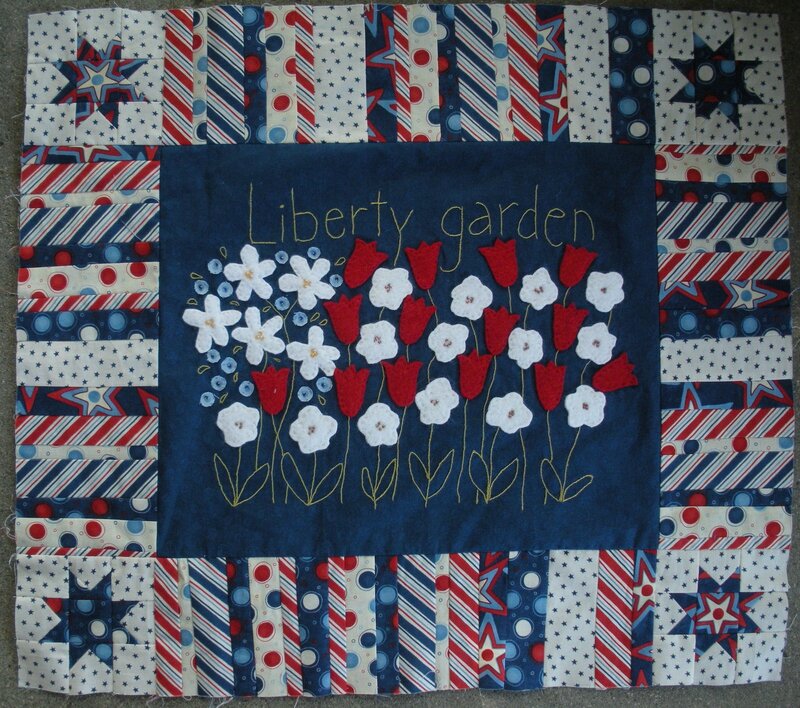 With the exception of the small navy stars on cream…the border prints are all from Sandy Gervais’ Red, White and Bold fabric line. Love her seasonal lines! 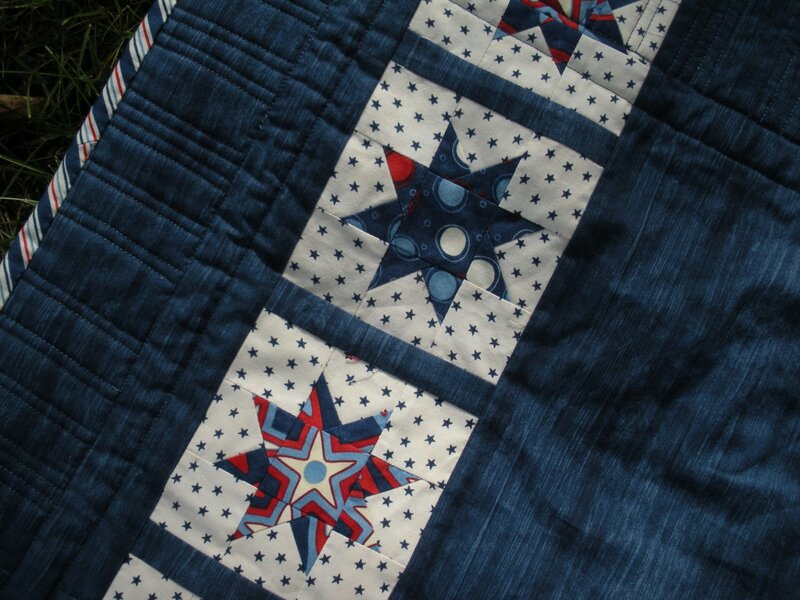 The navy blue on the front and back, the red Kona cotton, and the small star print all came from my stash. 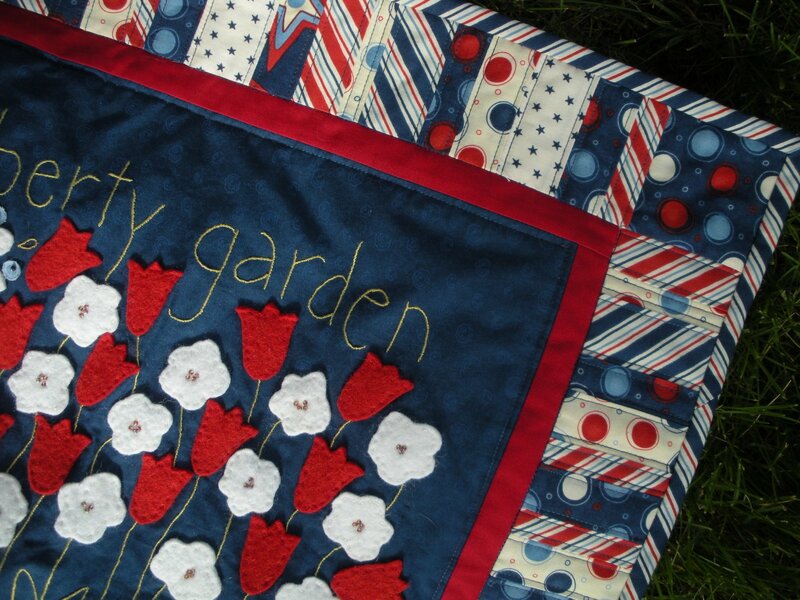 It looks terrific – and you’re doing stuff I want to try – like the beads and felt. 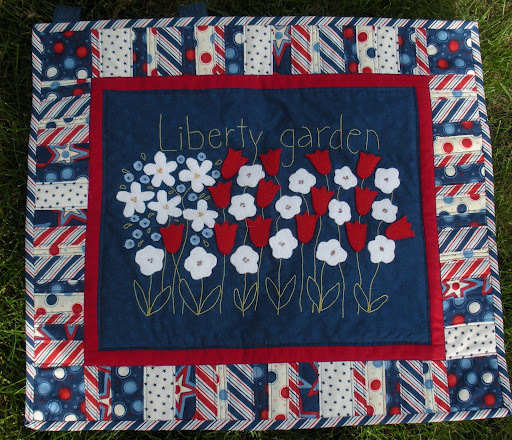 I’m hoping it does rain this weekend so I can quilt rather than garden…. Really lovely! Thank you for sharing today!